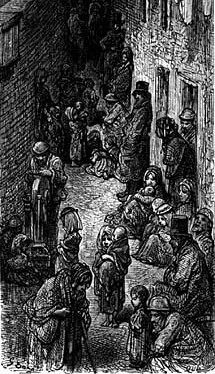 With the advance of industrialisation in the 1830s and 1840s, critical commentators, writers and artists in Victorian Britain became increasingly concerned, not only about housing, sanitary and working conditions, but also the dehumanising character of both factory work and the theories of political economy which underpinned mass production. This paper will explore how these common concerns were expressed by individuals as diverse as Karl Marx, Elizabeth Gaskell, Ford Madox Brown, and John Ruskin. It will briefly reflect on what their analyses have to say to our current concerns about the modern workplace as a place in which our sense of our shared humanity and the dignity of our labour are both at risk.